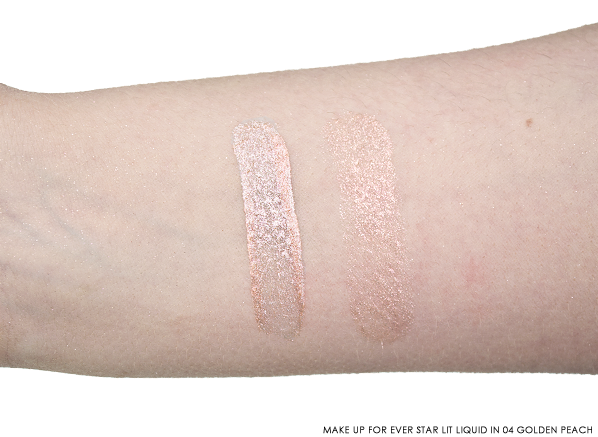 Glitter magpies, I’ve found your new love; meet the MAKE UP FOR EVER Star Lit Liquid collection! 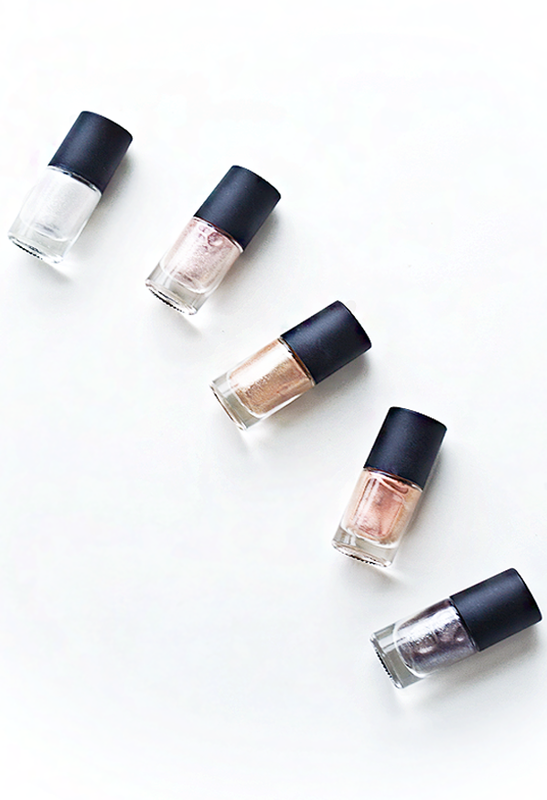 I’m not biased, but aren’t they 5 of the prettiest liquid shimmers you’ve ever seen? With the metallic makeup trend taking over this autumn, the Star Lit Liquid shades couldn’t be any more perfect for fall 2017. Warning: they’re glitter mad! 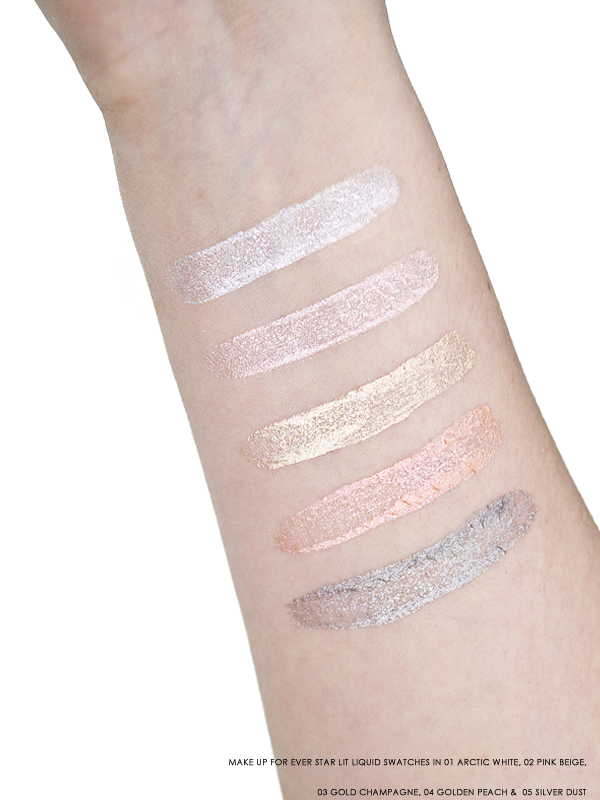 But, as you can see above, these super pigmented shades are amazing to highlight. 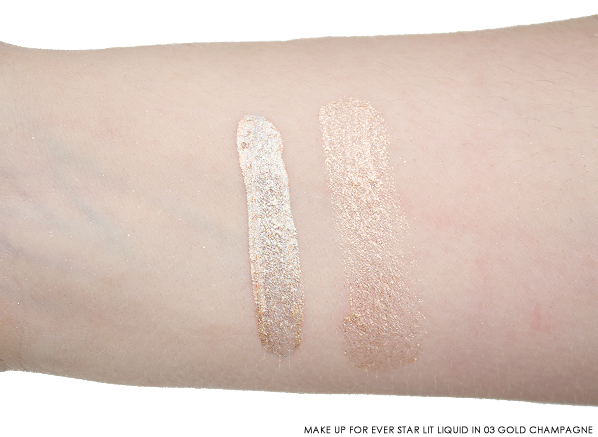 Ranging from cooler shimmers to warmer glitters, there’s a Star Lit Liquid for everyone. These are categorised as Eye Shadows, but they’re completely safe to use all over your face and body. Once brushed on to your eyes, lips, or face, the quick dry formula creates a beautiful pearlescent finish that’s truly show-stopping. 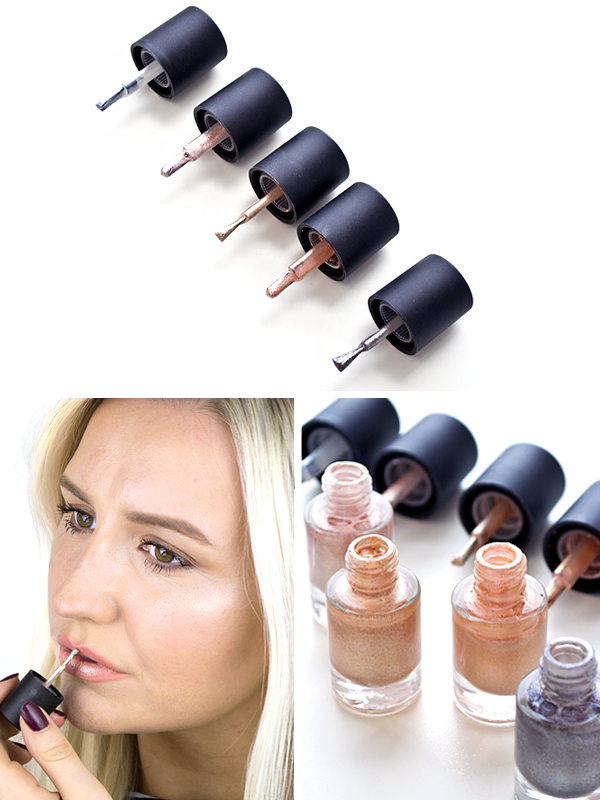 Each shade is completely versatile; choose to use your fingers for a minimal application and to create a slight shimmer, or apply with the brush that’s included to build coverage and create a glow that’s ‘Instagram Popular Page’ worthy. 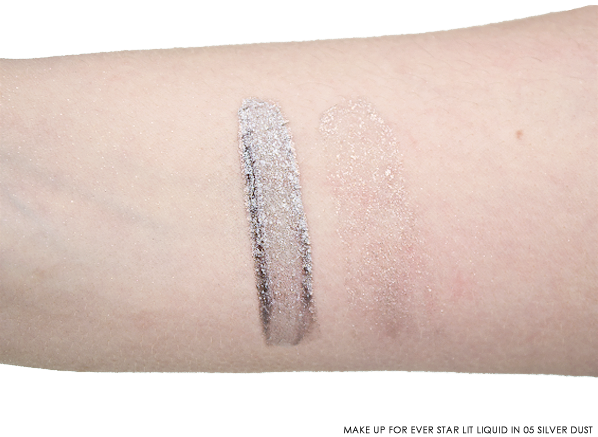 This beautiful frosty hue catches the light with an array of silver and baby pink shimmer particles. 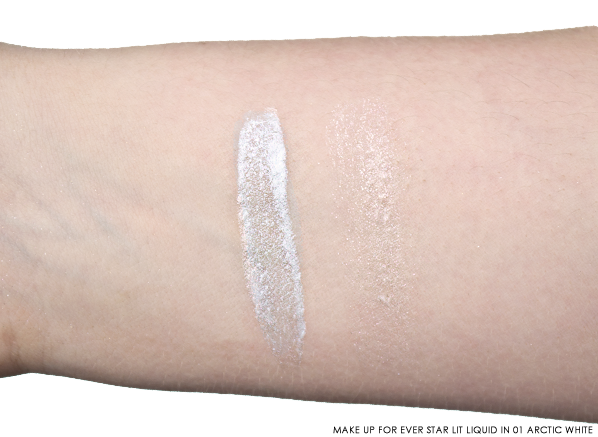 For those looking for an intergalactic white shade for their eyes, this is perfect. 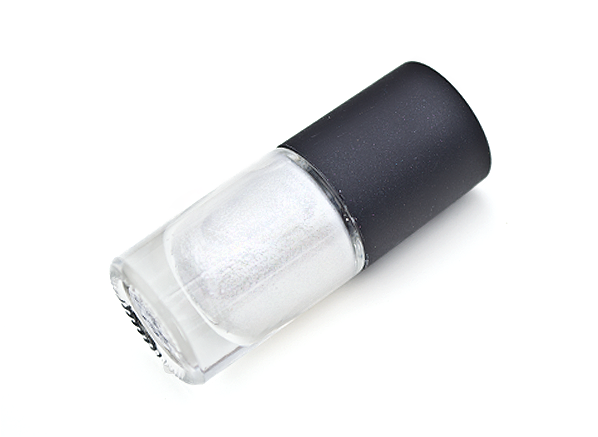 However, to highlight your skin, the arctic white shades is more suited to highlight a cooler, fairer skin tone, as its dominant sheen shade is an icy white silver. Slightly warmer than the Arctic White, Pink Beige is oh so pretty! More of a muted baby pink hue, this multi dimensional shade sits beautifully on the eyes, lips and cheeks as it features a blend of cool and warm flecks. Again, if you’re looking to highlight your skin, Pink Beige is more suited to a cool, fairer skin tone. This gorgeous golden shade is the perfect all-rounder for every eye colour, and if applied correctly to the skin, this shade can be worn on all skin types (remember: a minimal application is needed for a subtle glow). The warmest shade in the group, its golden hue will enhance a bronze eye or will kiss skin with the most beautiful champagne highlight. 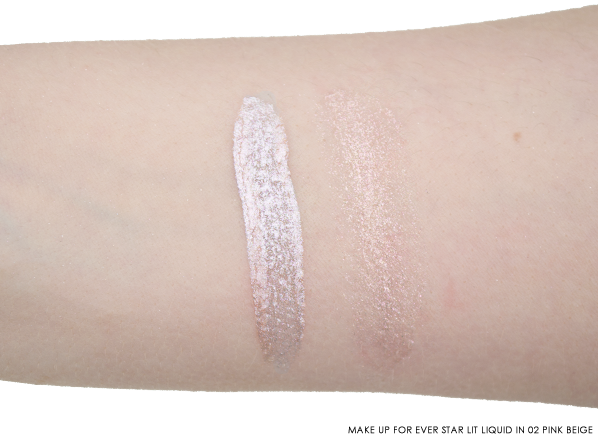 A beautiful rose gold, the Golden Peach shade is my favourite eyeshadow shade from the lineup. Its burnt orange/copper undertone works perfectly with my hazel/green eyes. Again, to use on the skin, I would definitely recommend this shade for a warmer, medium to dark skin tone. How pretty is this gunmetal shade? Now, I wouldn’t recommend this one to highlight your skin, but I would definitely recommend it as the perfect smoky eye enhancer. Its stunning darker silver shade looks beautiful alone or packed in the centre of a dark smoky eye. 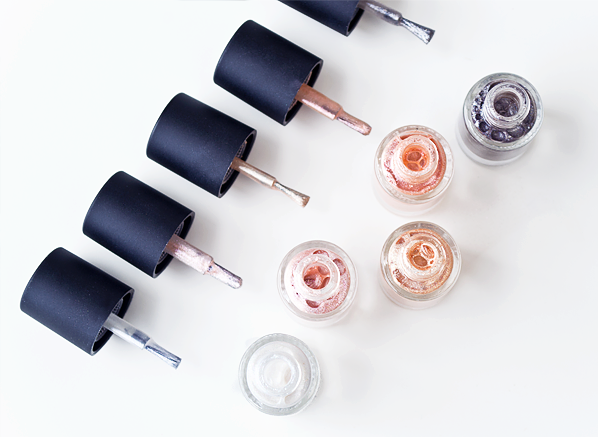 Packed full of sparkle and shimmer, there’s a lot more to know about these lustrous liquids. Their super-shiny particles are created to reflect maximum light, making them an essential game player when it comes to strobing and structuring your look. The thin gel texture is water-based, which means they dry quickly upon application, ensuring durability and longevity. When applied to your skin, the Star Lit Liquids feel cooling and refreshing, which is particularly amazing when used on the eyelids. This entry was posted on Thursday, August 3rd, 2017 at 8:45 am and is filed under Brand Focus, Make-up, Special Post, Trends, Tried & Tested. You can follow any responses to this entry through the RSS 2.0 feed. You can skip to the end and leave a response. Pinging is currently not allowed.